A gay judge has won a custody case against the Chilean courts which had taken away her three daughters in 2004 believing her sexuality to put their development ‘at risk’. As the Inter-American Court of Human Rights is the ultimate adjudicator for the Americas, deciding cases in accordance with the American Convention on Human Rights, it marks the end of eight years of legal battles for Karen Atala. The Court criticised the decision by Chile’s Supreme Court to uphold an order removing Ms Atala’s children from her and giving their father custody because of Ms Atala’s sexual orientation. Chile’s Supreme Court had ruled that the girls were in a “position of risk” and could become “objects of social discrimination” and have hindered “psychic development” by living with the judge and her female partner. In 2009, the Inter-American Commission on Human Rights found that Chile had violated Ms Atala’s rights and those of her daughters under the American Convention. In 2010, the Commission referred the case to the Inter-American Court, which began hearing evidence last year. This week, the Court ruled that the Chilean judges’ decision conflicted with Convention protections for the rights of children and the right to private and family life. It also held that Chile was itself violating the family’s right to equal protection before the law on account of Ms Atala’s sexual orientation. It is the first time the Court has affirmed that the 1969 American Convention on Human Rights, which Chile signed up to in 1990, gives protection on the grounds of sexual orientation. Among the groups advocating for Ms Atala, Columbia Law School’s Sexuality and Gender Law Clinic submitted a brief to the Court from 60 experts on sexual orientation, gender and family law from around the world. It pointed to an increasing acceptance globally that whether or not a parent is gay is irrelevant in determining the best interests of a child. The brief also argued that denying lesbian and gay parents custody of their children violates the rights of both children and parents to live freely without discrimination. Suzanne B. Goldberg, a Professor of Law and director of the Sexuality and Gender Law Clinic Law School said: “The Inter-American Court’s decision vindicates the American Convention’s basic promise of equality and non-discrimination and makes clear that lesbian and gay parents have and deserve these important human rights protections. The judgement recommends Chile “implement programs and permanent courses of education and training to public officials at regional and national levels”. Though she reportedly had sought more compensation against the state, Ms Atala will be paid US $20,000 for her suffering and $10,000 for medical and psychological costs. $10,000 will be given to each of her children for what was termed “intangible damages”. 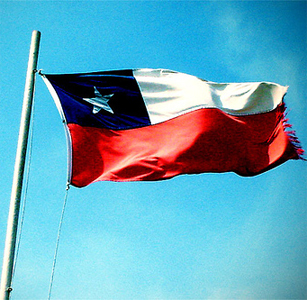 According to the Santiago Times, the ruling criticises the way Chile applied its laws with regard to the human rights of its citizens and clarifies its human rights obligations, but does not require the South American country to amend any of its domestic laws.